Rub, rub, rub! Create 6 pictures! 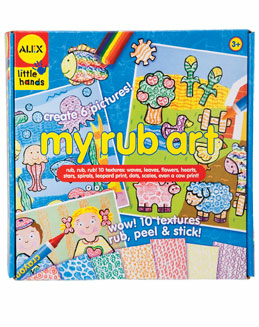 Kit includes 6 preprinted scenes, 5 rubbing plates with 10 textures, 110 stickers, 8 crayons, 1 rainbow crayon and easy instructions. Rub, peel & stick!